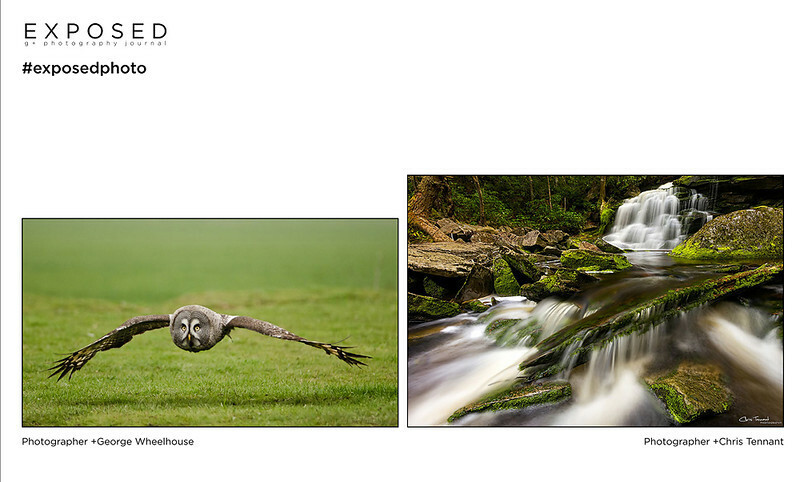 A gallery of images that have been published. 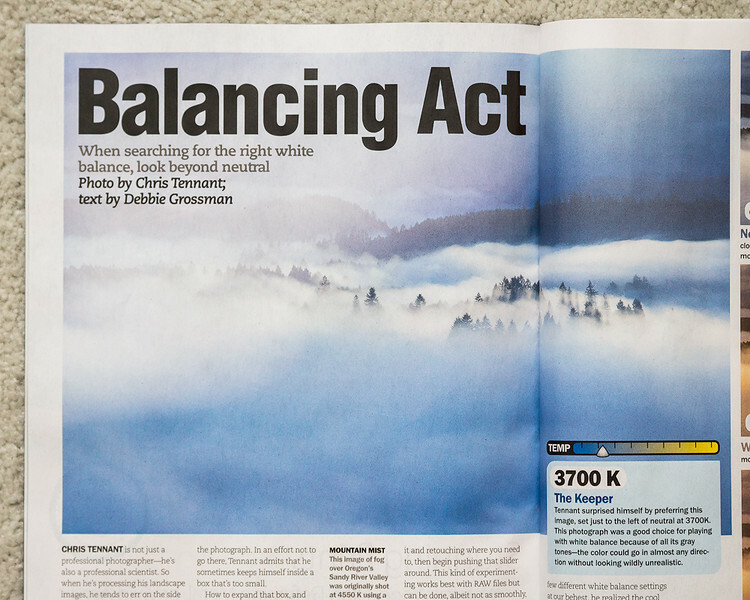 The January 2016 issue of "Popular Photography" featured an image I took in Oregon for an article highlighting the effect the choice of white balance can make. 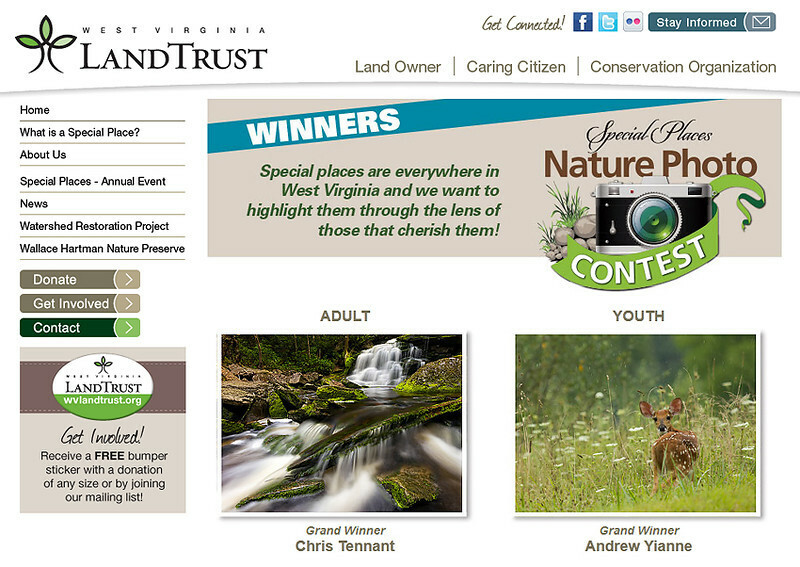 Grand Winner of the West Virginia Land Trust's inaugural photo contest. 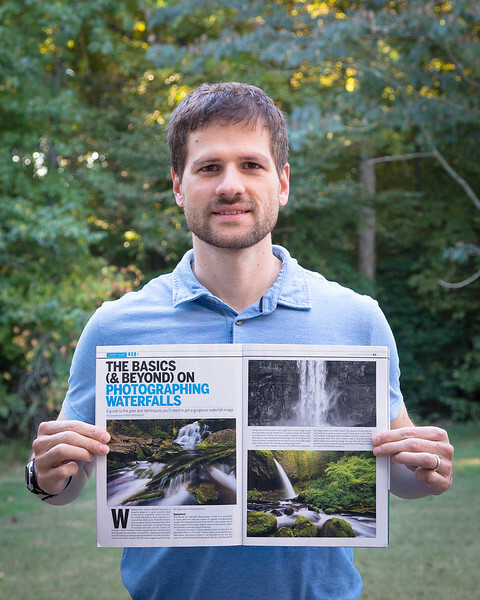 I contributed an article on how to photograph waterfalls to the 2015 edition of Shutterbug's "Expert Photo Techniques" issue. 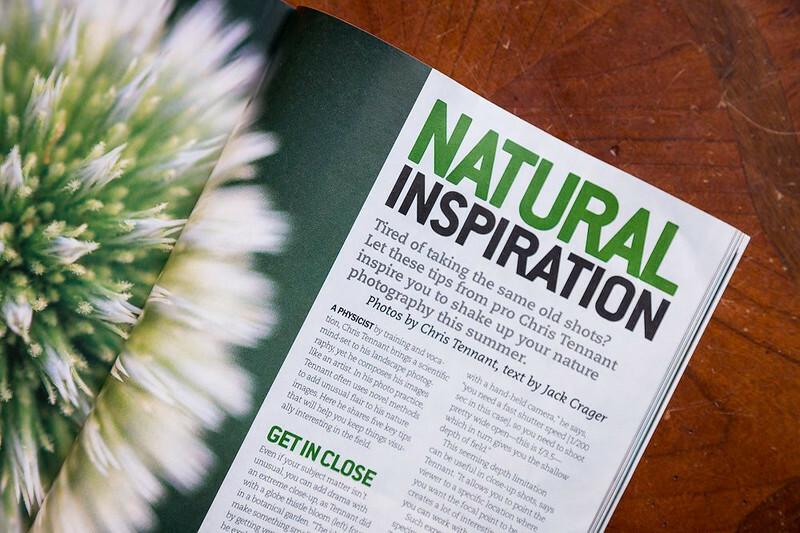 The July 2015 issue of "Popular Photography" magazine ran a feature called "Natural Inspiration: Break the Rules of Nature Photography" utilizing 9 of my photographs. 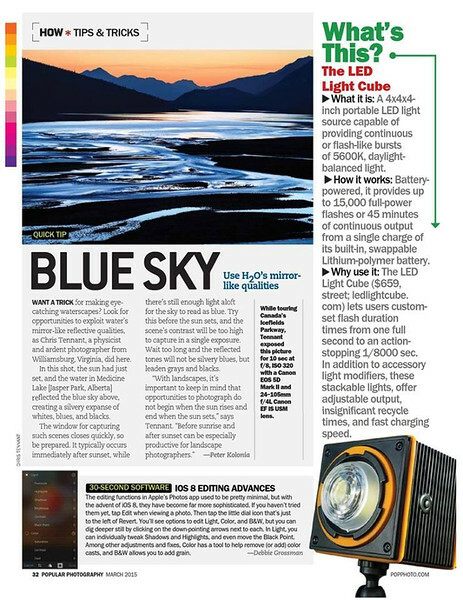 The March 2015 issue of "Popular Photography" used my image from the Canadian Rockies for their "Tips & Tricks" column. 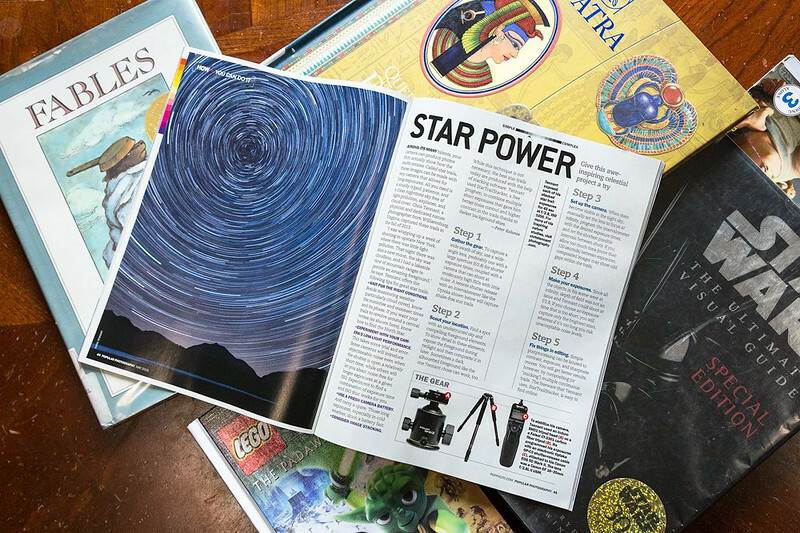 In their May 2015 issue, "Popular Photography" used my tutorial on star trail photography for their recurring "You Can Do It" column. The December 2015 issue of "Adirondack Life" magazine featured one of my photographs in their "Our Favorite Places" article. The October 2015 issue of "Adirondack Life" magazine featured my photo from Round Pond in their gallery of autumn images. 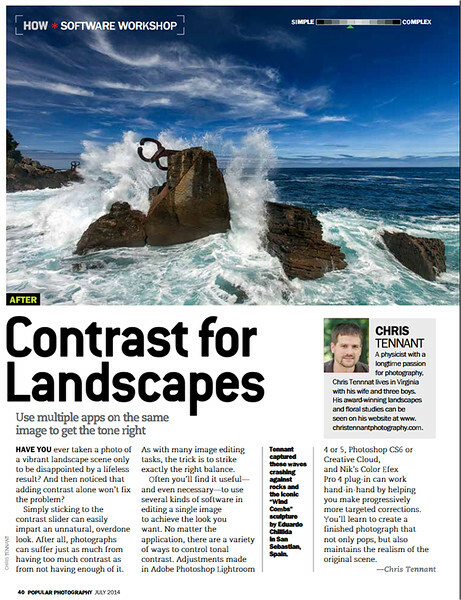 My tutorial on adding contrast in landscape images appeared as a "Software Workshop" article in the July 2014 issue of "Popular Photography". 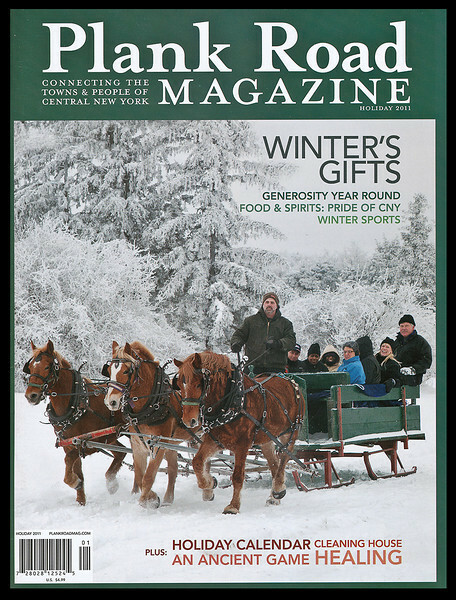 Follow-up article in the January 2014 issue of "Popular Photography" about one of the photographs published in the Adirondack feature article. 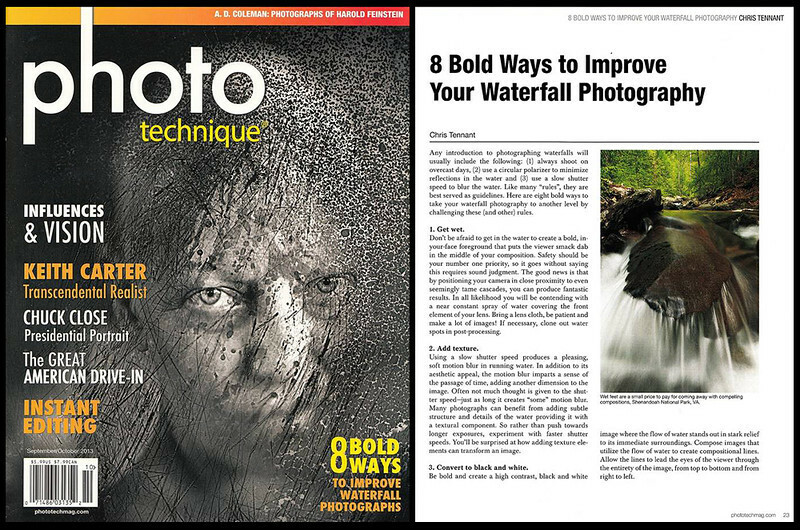 My feature article about the Adirondack State Park was published in the October 2013 issue of "Popular Photography"
My article titled "10 Bold Ways to Improve Your Waterfall Photography" published in "Photo Technique" magazine (2013). First place in the "Textures & Patterns" category of the "Virginia Wildlife" magazine's 2013 photo contest. 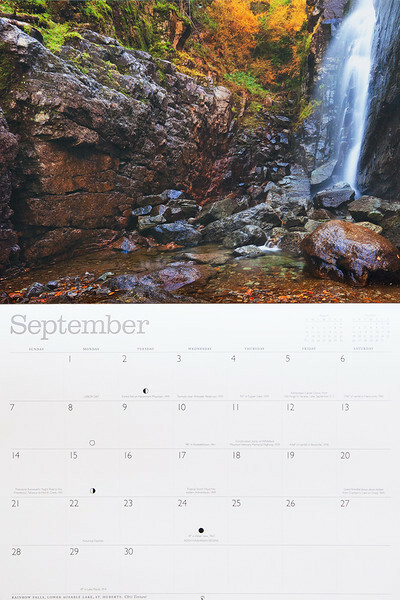 My photograph of Rainbow Falls is featured in the 2014 Adirondack Life calendar. 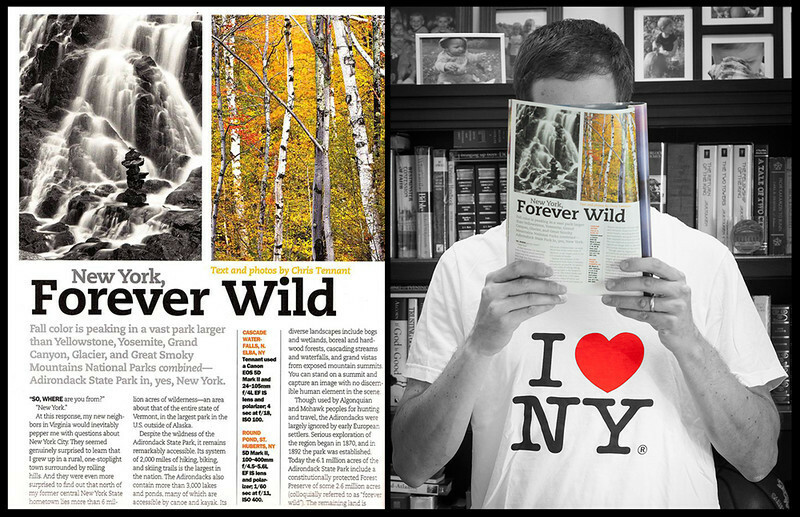 The October 2012 issue of "Adirondack Life" featured my photograph of Cascade Falls in their gallery of seasonal images. This intimate landscape was the winner of Landscape Photography Magazine's Fall photo contest. This photograph was used as the cover of the Holiday Issue of Plank Road magazine. 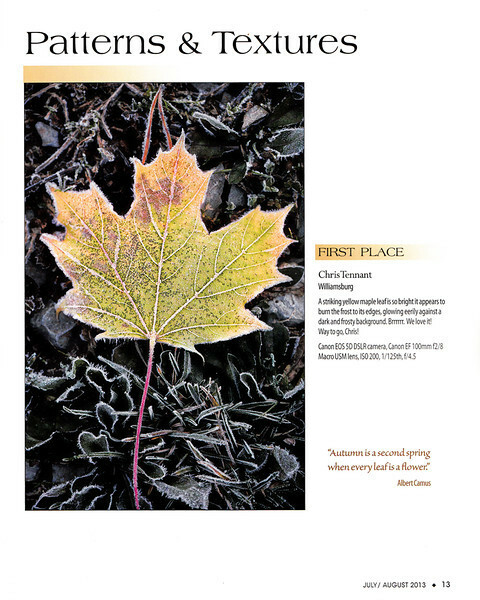 In the 2011 Adirondack Life magazine's photo contest, I was awarded the Grand Prize as well as second place in the Black & White category. First place in the Black & White category in Life in the Finger Lakes 2011 Photo Contest. 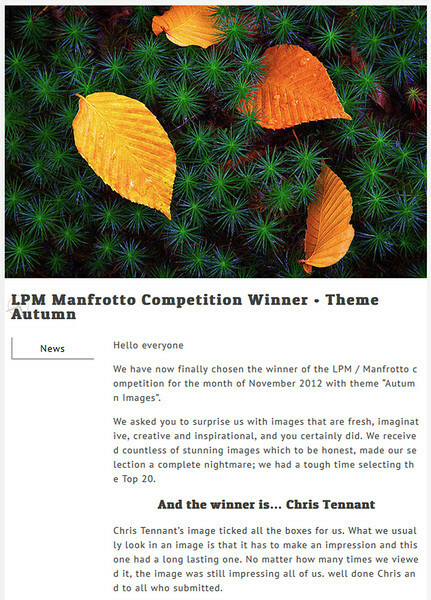 In the 2010 I was awarded first place in the photography category of my alma mater's (undergraduate) "Literary and Arts" issue of the alumni magazine. 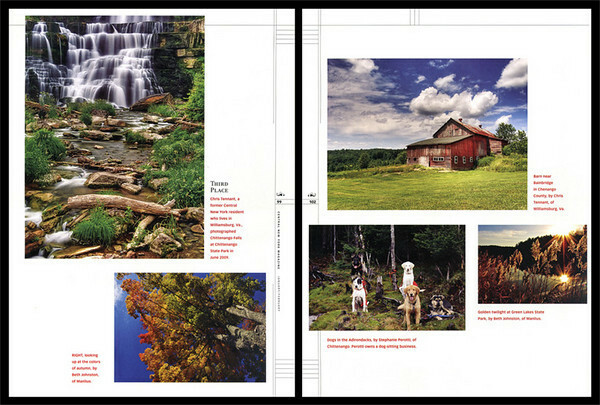 Results of Central New York magazine's 2nd Annual Photo Contest were published in the January/February 2010 issue. 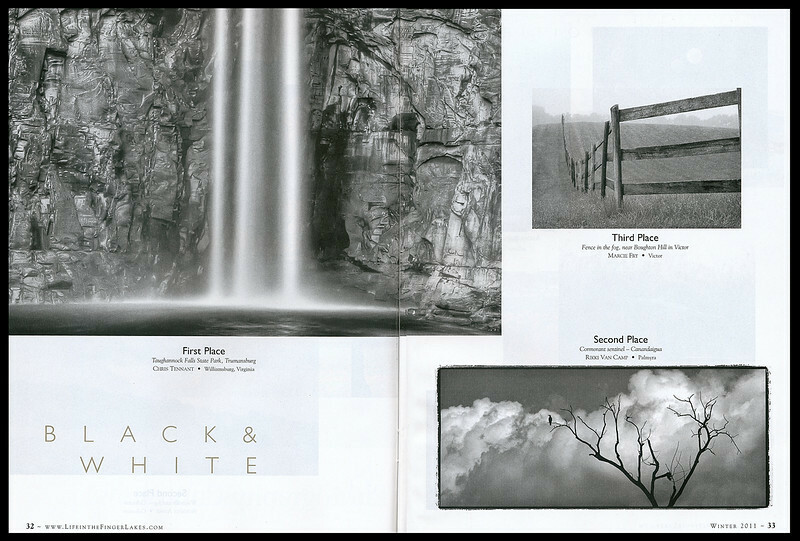 My photo of Chittenango Falls placed third (upper left). 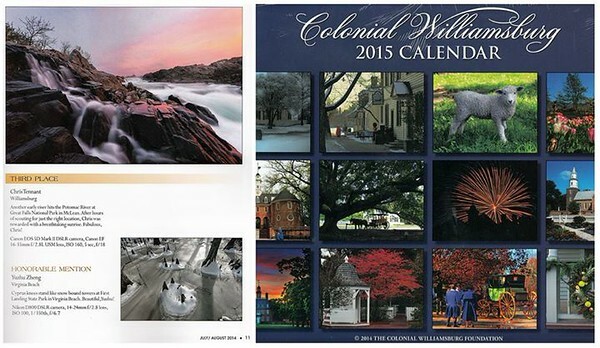 One of my barn photos was also chosen for printing (upper right). 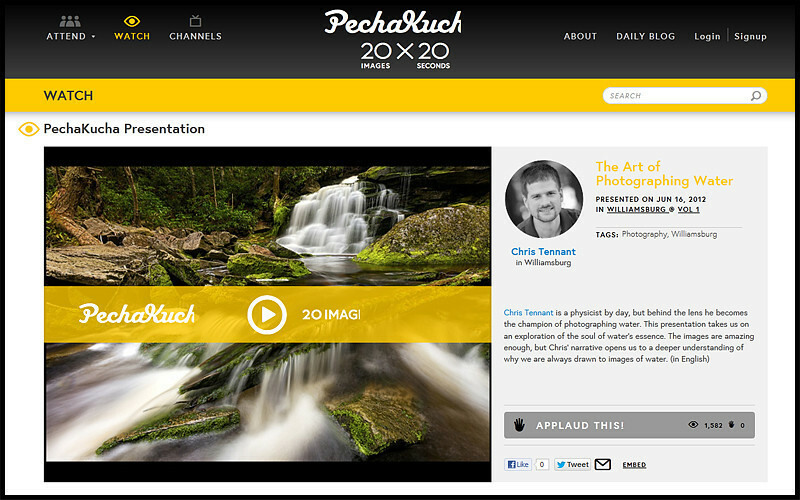 presentation delivered at the first Pecha Kucha night in Williamsburg. Presenters are allowed 20 slides and given only 20 seconds per slide. The title of my talk is "The Art of Photographing Water". 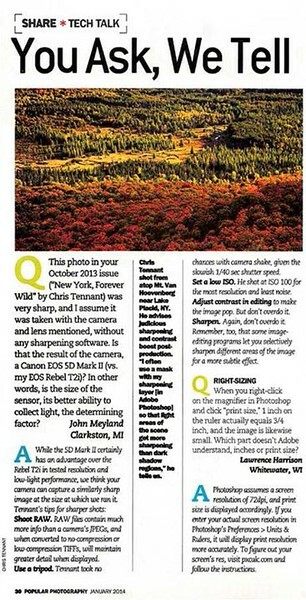 In the October 2010 issue of "Popular Photography" one of my photos was used in an article to demonstrate how to do HDR with Photoshop CS5. 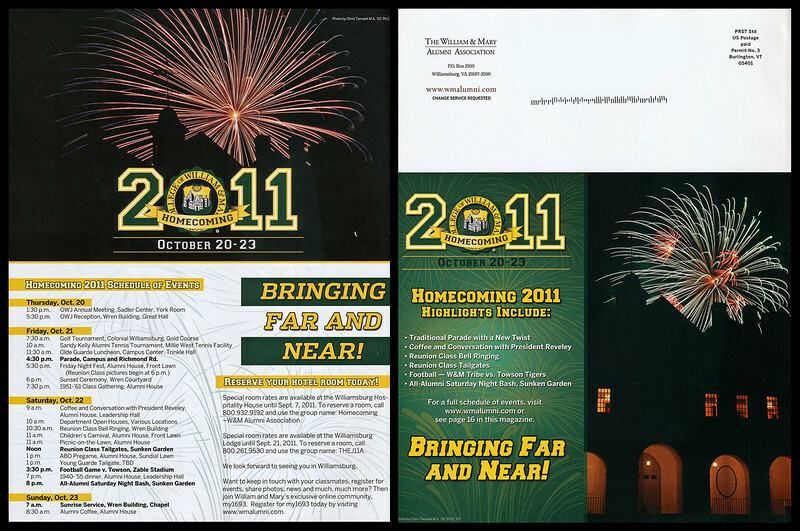 These fireworks photographs were featured in W&M Alumni magazine. 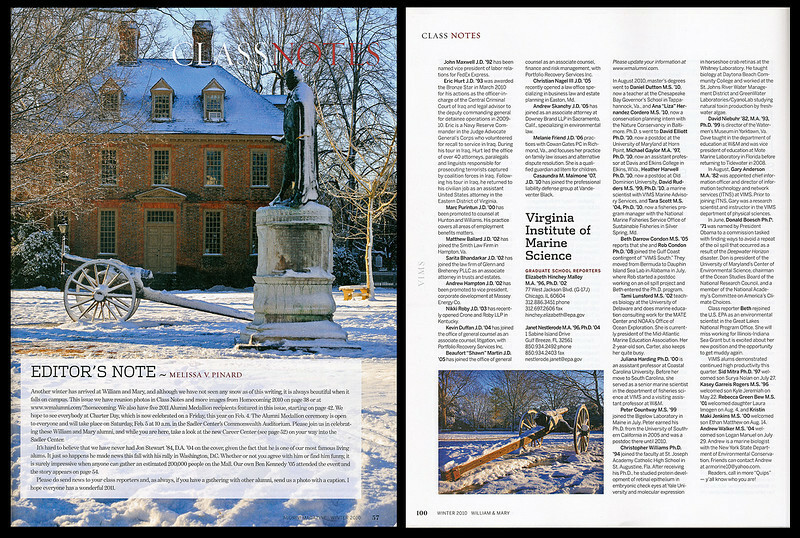 These winter shots were featured in the W&M Alumni magazine.